Santa Claus and Mrs. Claus lived alone with their dog Blazer. They took him for long walks through the forest where they would enjoy the view of the brightly decorated Christmas trees. Both Mrs. Claus and Santa Claus did not know who decorated those trees so elegantly, but Santa had heard a story that magical elves were doing it. Mrs. Claus did not believe that story, but she sure did want a tree for her home. Santa surprised her with a Christmas tree one morning and they enjoyed decorating it and looking at it while they made their preparations for Christmas. With them being so busy, the tree wasn't being properly cared for, and a horrible accident occurred. To their delight, Santa and Mrs. Claus encountered a wonderful and welcoming surprise soon after. 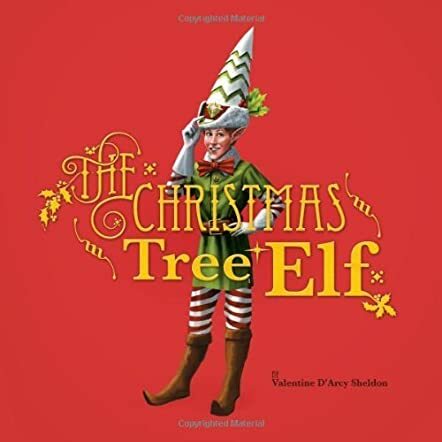 The Christmas Tree Elf by Valentine D'Arcy Sheldon is a delightful and cheerful holiday fable, accompanied by skillful and colorful illustrations sure to keep a young reader or listener's attention. The story plot is very endearing and charming, along with its characters. Children love Christmas, and enjoy learning about Christmas and its history. This is a fun and exciting fable for children to learn how the first Christmas tree came to be at Santa's home. Like the old classics - Rudolf the Red Nose Reindeer or The Night Before Christmas - The Christmas Tree Elf is sure to become one of those classics to be read during the holiday season or to be put on display, adding Christmas cheer to the bookshelves.